Tropical Abundance - Got Greens? 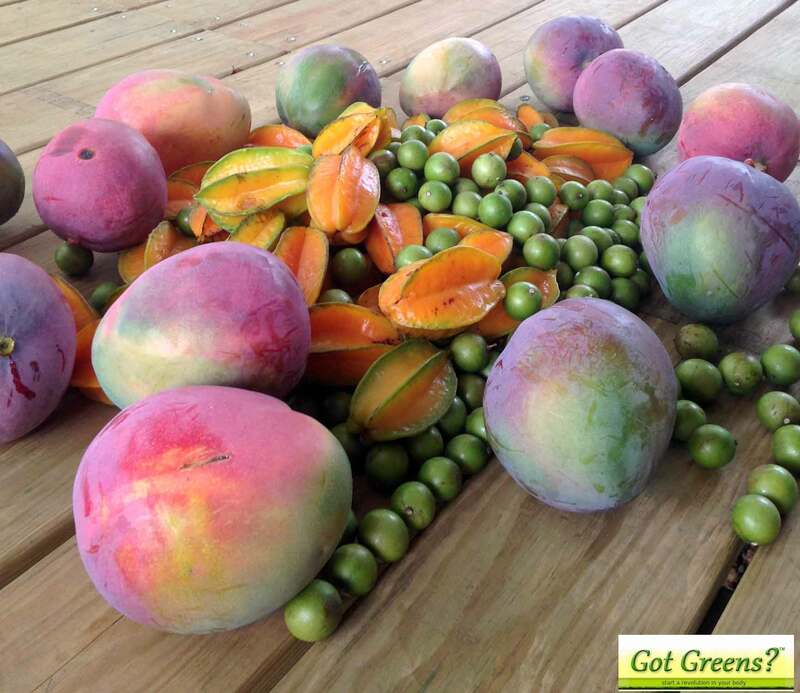 What to do when you have an incredible harvest of fresh tropical fruits? Make a smoothie – of course. We have the wonderful opportunity to spend some time in Costa Rica in a Permaculture Eco-Village where the abundance of food all around us is astounding. Everywhere you look there is something growing that you can eat, literally. While so much greens and vegetables grow we can’t help but focus on the incredible tropical fruits hanging from the trees. These are the fruits we all know and love in the States that we pay an premium for and we can’t do without. Imagine our ecstasy upon the experience of waking up in the morning and taking a few steps out the door to pick banana, mango, pineapple, and so much more in anticipation of our morning smoothie. Nothing picked green, nothing sprayed, nothing shipped many miles, nothing sitting in warehouses, nothing but FRESH – as nature intended. Below is an example of just one creation for breakfast – Enjoy! 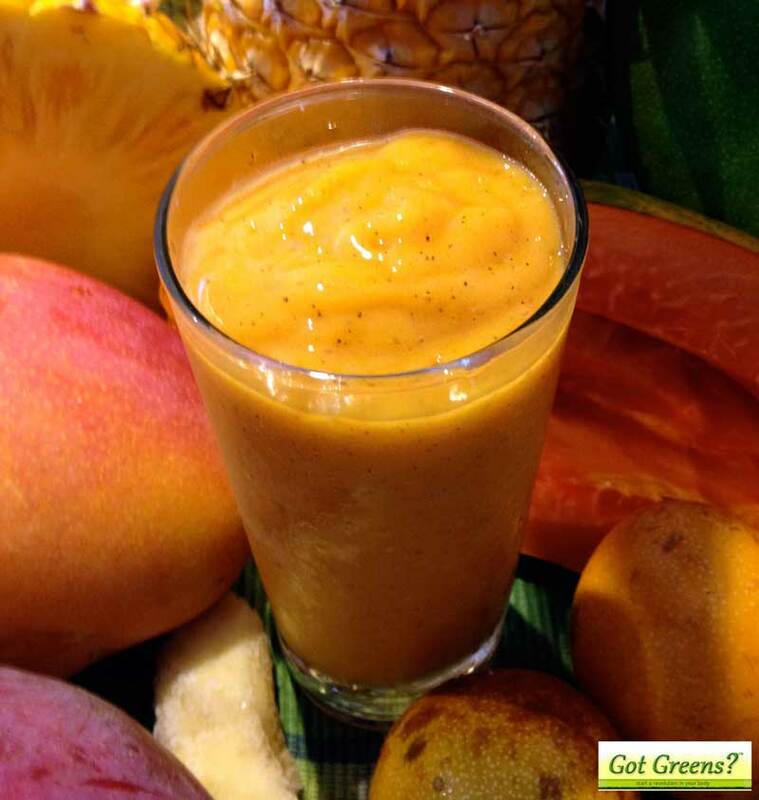 Blend until smooth and enjoy this amazingly delicious treat. It’s like having a guilty dessert for breakfast without the guilt and without the “bad stuff”. We choose to freeze some things not only to keep them longer but also to have a refreshing cold treat when blended.